The Dolphin Mall in Sweetwater Florida opened in 2001. It is the second largest mall in Miami. 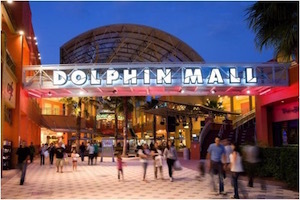 The owners claim that Dolphin Mall attracts over 35 million shoppers annually. That is more than Universal Studios and the Magic Kingdom. But when Dolphin Mall shoppers and customers are injured, the Dolphin Mall Personal Injury Lawyers of the Wolfson Law Firm can help. Simply call the Dolphin Mall Slip and Fall Attorneys at (305) 285-1115 right now. A group of circus dwarfs from Russia called the “Royal Russian Midgets” were leaving Miami after a show in 1939. As they drove along Tamiami Trail they came across some land advertised as “Sweetwater Groves”. The land had been developed by Clyde H. Anderson, The Russian circus dwarfs decided to buy it and make it their new home.. The “Royal Russian Midgets” had made big plans for the land. They originally wanted to create a tourist attraction on the 100-acre property. However those plans were scrapped after World War II began. Now Sweetwater, into a small city in western Miami Dade, is a small city in the far western reaches of Miami-Dade County with more than 600 businesses, 14 shopping centers, including the Dolphin Mall, and over 18,000 residents. Over 93 percent of the population is Hispanic. The largest concentration in Sweetwater with the biggest concentration belonging to the Nicaraguan community. The Sweetwater Personal Injury Lawyers at the Wolfson Law Firm have helped people in the Sweetwater neighborhood over the past 60 years. The Dolphin Mall is located at the western edge of Miami-Dade. It is surrounded by Doral, Tamiami, University Park, Fontainebleau and Flagami. It is located in close proximity to Florida International University (FIU) as well. 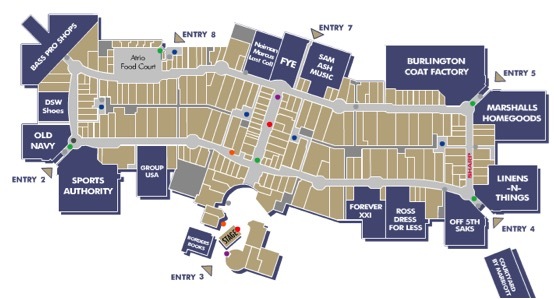 The mall is located at 11401 NW 12 Street near the Florida Turnpike and the Dolphin Expressway (State Road 836). The Dolphin Mall is separated into three districts: Moda (Fashion); Rambles (Boulevard); and Playa (Beach). It is widely believed that the Dolphin Mall was opened in response to the popularity of the Sawgrass Mills Mall in Sunrise Florida. The thought was to intercept the traffic from Miami International Airport (MIA) that landed from South America and Europe and would travel to Sawgrass Mills. By placing the Dolphin Mall at the end of the Dolphin Expressway at the intersection with northbound Florida Turnpike and using the same upscale outlet mall design, the Dolphin Mall was successful in developing a vibrant shopping mall. More than 240 specialty shops including DKNY, Bose, True Religion Brand Jeans, Polo Ralph Lauren Flagship Factory Store, BOSS Hugo Boss, Banana Republic, Victoria’s Secret, Michael Kors, Tommy Hilfiger Company Store, Nautica, Ann Taylor Factory Store, Brooks Brothers Factory Store, Cole Haan, Calvin Klein Factory Outlet, Nike Factory Store, Movado, and A|X Armani Exchange. Dining and entertainment options include: including T.G.I. Friday's, Texas de Brazil, Charcoal's Latin Grill, Dave & Buster's, Cobb Theatres Cinebistro, Dolphin 19 Cinemas, Kobe Japanese Steak & Seafood, The Cheesecake Factory, P.F. Chang's, , and Buffalo Wild Wings. The Dolphin Mall has ample parking lots and garages. It has the usual elevators and escalators you would normally expect at the 2d largest mall in Miami. Unfortunately, sometimes good folks will get injured at the Dolphin Mall and that is when they should call the Dolphin Mall Serious Injury Lawyers in Miami. Get the contact information for any possible witnesses and employees right awy. This could be incredibly important in proving your case. Don’t forget any kind of statement made by an employee, manager, security guard or maintenance person. In fact, write it down as soon as you can so you can share it with your Dolphin Mall Premises Liability Lawyer in Miami. You MUST report your slip and fall to the store manager or employee. If you don’t they could ultimately deny you even fell and say you are making a fraudulent claim. See if you can figure out what you tripped or slipped on. That can help in proving causation and notice in your case. Look and see if you can figure out what the source of the substance that you slipped on. It could be a leak from a refrigerator or freezer. It might be wet from mopping or cleaning. It might be gel, lotion or a food substance. Make your notes. The information could be important. Better to be safe than sorry. Save your shoes and clothes. Your Dolphin Mall Personal Injury Attorney may need them for testing later on to figure out the substance that caused you to slip and fall. Take photos and videos with your phone. Try to get clear pictures of the substance that made you slipped and fall. Ask the manager for a copy of any incident reports concerning your slip and fall. Get checked out by a doctor. Seek medical help at an urgent care or emergency room. Our Dolphin Mall Slip and Fall lawyer in Miami have seen slip and fall injuries that clients did not immediately recognize but later turned out to be very serious. Again, better to be safe now then sorry later. Call a Dolphin Mall Slip and Fall Injury Lawyer in Miami and get legal advice right away. Many times there is a problem or defect on the property itself. Stairs may not be constructed in compliance with the Florida Building Code. There can be a structural defect with the property that caused you to slip, trip and fall. That’s why it is important to get a Dolphin Mall Trip and Fall Attorney in Miami immediately so the investigator can get to the scene and take measurements, video and/or photographs to establish the defective condition of the property before the Dolphin Mall tries to correct it. To be perfectly clear, the preservation of slip and fall evidence is extremely important. Like most malls, the Dolphin Mall in Miami and many of its stores, shops, food courts and dining facilities will have closed circuit video surveillance. But if the Dolphin Mall, restaurant or any retail store are not placed on notice immediately, they generally have no legal obligation to keep the video tapes of your slip and fall. When an injured person retains our Dolphin Mall Slip and Fall lawyers we immediately place the mall owner and any potential store operator on notice to preserve and otherwise save the video tapes as evidence. If you were injured in a trip and fall or slip and fall at the Dolphin Mall in Miami, please give us a call today. If you were hurt at the Dolphin Mall and you are not certain if you might have a case, just call us at (305) 285-1115 for a free consultation. There is no reason you should have questions in your mind. Instead get the answers from our Dolphin Mall Slip and Fall Attorneys in Miami. The Wolfson Law Firm in Miami has humbly represented personal injury victims and the families of wrongful death victims since 1963. For the convenience of our Spanish speaking clients, Jonah Wolfson is a bilingual personal injury attorney in Miami and is available to speak to you now. Our personal injury lawyers in Miami represent people from Miami, Broward, Palm Beach as well as South America, Europe and Asia. 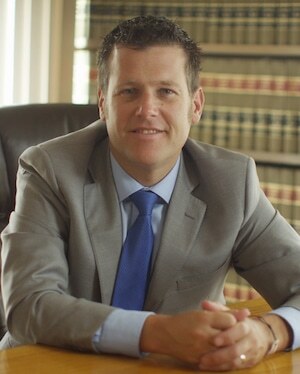 The Wolfson Law Firm also represents slip and fall injury victims in Doral, Miami, Miami International Airport (MIA), Kendall, Miami Beach, Flagami, Fontainebleau, Allapattah, Florida City, The Roads, Coral Gables, FIU, Medley, Westchester, Shenandoah, Little Havana, Miami Gardens, South Miami, Cutler Ridge and other cities throughout South Florida.